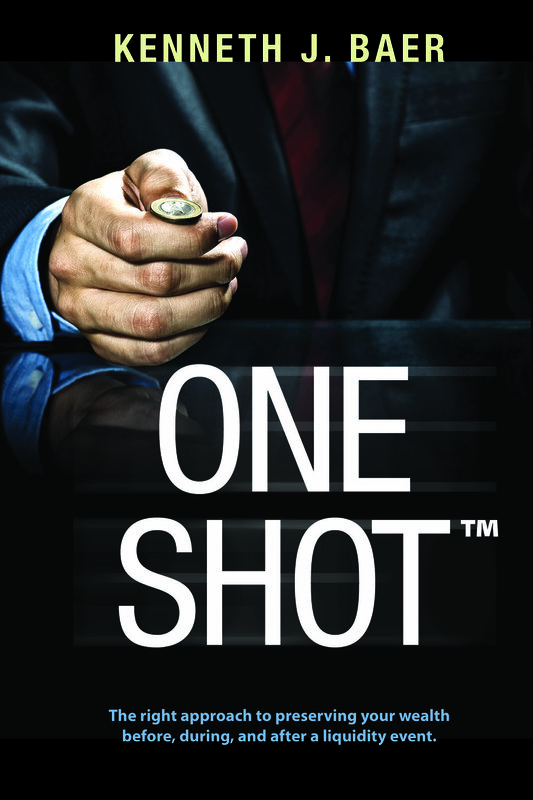 One Shot, the new e-book by Kenneth J. Baer which explores the steps that successful entrepreneurs should take to preserve the wealth they have built. At Baer Wealth Management, we build and protect wealth for our clients. We implement investment solutions based on academic research, collaborate with top finance professionals, and use market discipline to grow your assets. We believe that everyone should live out their dreams. View the adjacent video to see how. When was the last time that you evaluated whether your investments align with your personal tolerance for risk? Do you know your personal risk number? Click below to find out. What is most important to successful business owners? Studies show that the number one issue for successful business owners is where they should put/invest their money. We use evidence-based strategies that rely on academic research/financial science. Every successful business owner wants to minimize what they give to their not so silent partner, Uncle Sam. At Baer Wealth, we collaborate with top experts that specialize in helping business owners mitigate taxes. Successful business owners want to make sure that their assets pass to their heirs. Whether in life or in death in the most efficient way possible. We collaborate with experts in wealth transfer to make sure this is accomplished for our clients. Successful business owners face risk and their assets can be unjustly taken from them. Whether that be from a divorce, break-up of a partnership, premature death, disability, or other unforeseen circumstance. We work with top legal minds to make sure you are protected. Many of our successful clients have causes that are very important to them. We help you have the greatest impact on those causes via gifting strategies that give you the most bang for your buck.